The Juncker Plan has been a “miraculous instrument”, and Europe now needs the same paradigm change in development policy. That means moving from social policy to economic development, and from grants to loans. 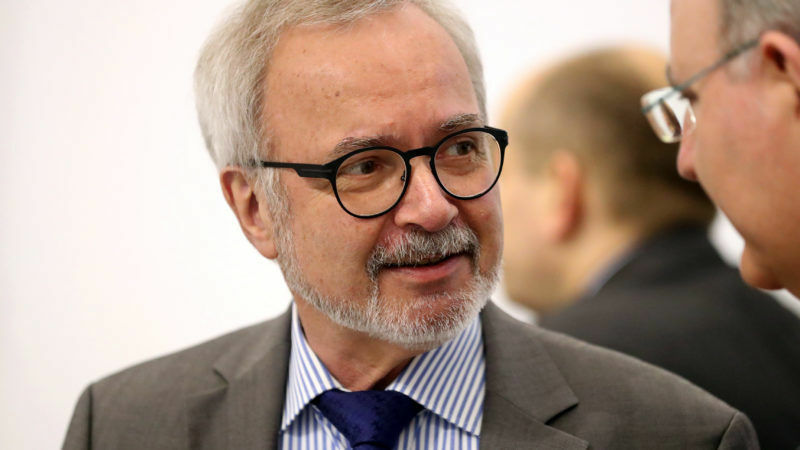 The EU will play a huge role in that shift, Werner Hoyer told EURACTIV.com in an interview. Hoyer is president of the European Investment Bank. He spoke to EURACTIV’s Paola Tamma on the sidelines of the COP23 in Bonn. What are your views for eurozone reform? Are you in favour of a eurozone budget, and how large should it be? That’s not my business. I chair the bank of the 28, not the bank of the 19. Having said that, I see of course that with the withdrawal of the UK, with the exception of one member state, all others have pledged one day to be members of the eurozone. So the eurozone in my view is one of the concentric circles which will manifest the future deepening of European integration. There are others, like Schengen, like cooperation renforcee, which by the way Michel Barnier and myself invented when we negotiated the treaty of Amsterdam. The eurozone will be one of these concentric circles, hopefully with as many as possible. I think it’s a question of headlines to talk about the eurozone budget or the eurozone ministers. The key is: what does the monetary union dimension of the European integration process, which is the eurozone, need to perform, to deliver? Basically, the core pillars for this deepened integration is a backstop facility with funds for crisis scenarios. We will not be able to rely on the IMF any longer, that will be over soon. This role can be played and must be played by the ESM [European Stability Mechanism]. The other pillar that the eurozone needs is an investment facility which in difficult times can act counter cyclically, and which in regular times can address the structural weaknesses of the eurozone economy. This instrument exists: it is the European Investment Bank. If we organise better, we can overcome the rather consequent division of labour between 19 and the 28 member states, and allow the EIB to also become the bank of the eurozone; we have the key pillars for a deepened Eurozone. Whether this is then led by a special eurozone minister, or a successor of Mr Dijsselbloem, it is not my concern [Jeroen Dijsselbloem was until recently the Dutch finance minister and is current president of the Eurogroup]. Mr Dijsselbloem, although being a national minister, has done a fantastic job, and before him Mr Juncker did. So why the heck are we only discussing institutional questions like the minister or the budget instead of going to the substance? That is the pillars and their firepower. The firepower of the ESM and EIB is enormous. The EIB is 2.5 times the volume of the world bank. Sometimes I have the feeling that our ministers don’t know that. Do you think that with talk about enlargement there needs to be a review of the growth and stability pact? I haven’t really thought about it because I think it would have been a really good instrument, and much more credible, if it had not been France and Germany who were the first to break it. This is why I sometimes feel a little bit humbled where I see the tears shed in Berlin about others breaking the eurozone rules. I think one should be ready to discuss – but not in a way of diluting. We should not dilute anything. On the Juncker plan: do you think you’re on track to achieve what it originally prospected? The Juncker plan was a programme for Europe and on that we have delivered. We are 80% through the period. We are self-critical and look at what could be improved. So for EFSI II, the Juncker plan two, we will come up with improvements. But I think it has been a miraculous instrument. When we developed that idea, Juncker and myself alone in my office, on the ninth floor of the EIB bulding in Luxembourg – he was the opposition in Luxembourg, and was bored to death, and was thinking of his candidacy for the European Commission presidency. He came to us and asked, “What do we have to do in order to kick-start the European economy”? So we delivered the analysis, we calculated the reasons why ample liquidity is not channelled into projects which are there. That was the beginning of the Juncker plan. We had to multiply the money that is cashed in by a factor of 18 billion. We got €10 billion and within three years we expected €180 billion of additional investments. So we have reached that objective after 27 months. We said – okay, if we do that now with riskier projects, and on a different scale, let’s say 15 would be achievable. This was a rule of thumb. And we are delivering on that. From that point of view, I am very satisfied. What about the EU’s external investment plan for Africa? On the external side, unfortunately it took the migration crisis to open the European minds and hearts to development. Development was more a side issue for specialists, for people with a big heart, for charity, for people who have fantastic projects and intentions to help people on the ground in developing countries. But there was not really a strategic approach. That’s where we are and where we went active immediately two years ago. We need to have a paradigm change in development: from social policy, development of economic perspectives for people on the ground, using the highest technologies. And at the same time we have another paradigm change with the Juncker plan, shifting grants and subsidies to guarantees and loans, and we must do it again with development. This is what we tried to introduce in the external investment plan that the European Commission is planning and in which we will play a huge role. We need to learn for our objectives in the context of sustainable development goals, climate goals, from the context of what we’ve learned in the European Union from subsidies to guarantees. If you were offered the post of finance minister in Germany, would you take it? I have had the pleasure of running the largest multilateral bank in the world for six years now. With a huge manoeuvre space to shape Europe and beyond. Look at migration, for instance. The governments of Europe have decided to give me a second mandate for other six years. I don’t ever think of not doing it. If the EIB has so much “Fire Power” why can’t they settle what they owe to the UK as we leave? Maybe their foundations are made of sand?